Barry Hobday, head of geography at St Christopher’s Senior School, had no problem plotting a course around the Royal Golf Club for an easy win in the latest qualifier of the Euro Motors BMW Monthly Medal Series with a nett score of 71. 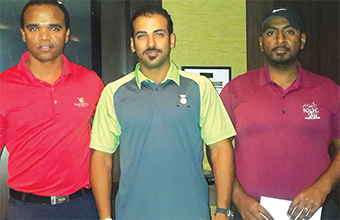 Saqer Al Noaimi came second with a nett score of 74. 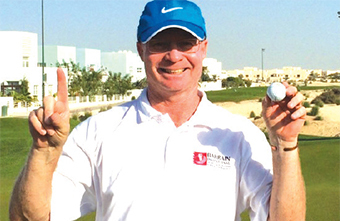 Rashid Al Khalifa clinched top spot in division two of the series with a nett 75 on countback and Peter Thompson was runner-up with the same score. In the third division Abdulhadi Alajmi took first place on nett 66 and Rich Hillson was second with 72. 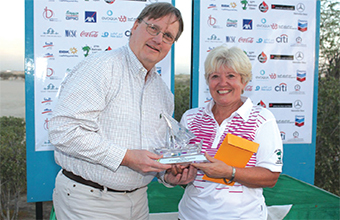 Hilde Kwik won the ladies nett category with a score of 80. All seven players will progress to the Euro Motors BMW Grand Final which will take place at the club in December.